Today, I'm continuing Independent Author Week! My next guest is H.G. Reed, a YA and adult novelist. You may remember the review I did of her book False River a few months ago. What types of writing do you do primarily? I primarily write YA novels, but both of my current publications are neither of those things haha. I flip between YA supernatural/fantasy and contemporary. I like having both, though. It keeps each genre feeling fresh to me. Tell me about the books you have out right now! Yes! 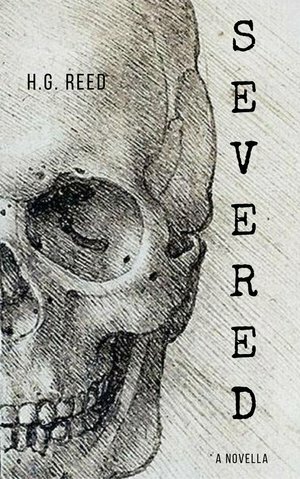 False River is an adult novel about a man who makes a deal with the devil to save his family. 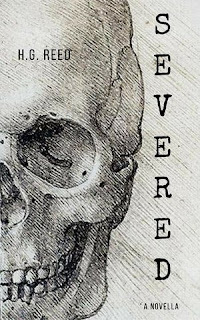 And a YA novella, Severed, about a snarky college student who overcomes a neurological disability to help save a girl's life. I'm into heroes and saving lives apparently! Both are available on Amazon. Tell me about your writing process! I'm a non-sequential writer, so my first draft is usually a culmination of random scenes I've played out in my head. Not all of them make the cut, and more times the not, the scene no longer applies to the actual book. But it's a start! And it makes that glaring blank page less scary. I also have a few writing spaces, so whenever I feel like I'm stalling out, I'll get up from my writing desk and go to the kitchen table where I love all the natural light in the morning. I like to switch it up. I wish I was a better planner, but I'm not. I usually verbally plot with my husband (he's a champ), and he calls out all my plot holes right off the bat. Even before sitting down to write, I start with the situation and the main characters. For False River, I knew it was going to be a good ol' Georgia boy and the devil who I saw as a 16-year-old girl. And it went from there. With Severed, I was in my cognitive neuroscience class in undergrad, and we were studying split-brain syndrome. Fascinated, I thought "what if someone saw something they couldn't verbalize, but really needed to tell?" Then Rory started blabbing and he wouldn't shut up. My latest story, a YA fairy tale re-telling, came to me in a dream. I know. It's SO lame. But the dream ended up being one scene near the end of the book, and it actually changed a lot because of how the story unfolded. The boy and girl in my dream ended up being much younger, and brother and sister. The steam-punk feel of the dream got totally canned because I knew that genre was on the way out. So there was lots of play with the initial idea. What are your favorite parts of the writing process? What advice do you have for other writers trying to survive the process of revision right now? Don't give up! Revising and editing is the hardest part in my opinion. Also, limit the number of voices weighing in on your project. Everyone has their different styles and tastes, so choose a handful of people you trust and go from there. Just because someone thinks you need to change a scene or cut a chapter doesn't mean you have to. When did you first discover your love of writing? Elementary school. Every class had some short creative writing assignments (usually around holidays), and I remember thinking I was super cool because I wrote 8 pages and everyone else wrote 2. I was like that. Now I know quantity does not equal quality! But then I entered my first writing contest in middle school and was published in a teen writing magazine in high school, and I started to take on this identity of "writer." I didn't start writing novels until college, and I feel like I wasted so much time! So if you have an inkling for writing, don't dally. Start honing your craft. Hmm, I guess I'll answer this in 2 parts. When do I get inspired? Usually when I'm driving in the car. Because it's quiet, and my mind sort of goes on auto-pilot, and I can talk out the dialogue in my head (I'm sure this looks crazy). This happens when I walk my dog, too. Getting space from the daily onslaught of info clears a nice little path in my brain for creativity. But I find inspiration through movies mostly. Reading other books, of course. But I'm a firm believer that there's no originality left in the world- it's all just a re-telling. So find a story arc you love and tell it in a way no one else can. What are some strategies you use when you're out of ideas or struggling to find motivation? Read. It sounds simple and dumb, but it's so true. All good writers must be good readers. In the same way we take time to sleep before going about our day, build in some down-time to read while you're drafting or editing. It keeps the gears loose, and you can better connect with your readers because you are one. Also, get out in nature. Walking not only pumps you full of endorphins but the increased oxygen to your brain literally helps you think clearer on a neurological level. Can you tell I'm a therapist in my day-job? What are your goals for the future? What's next? You can visit H.G. Reed on her blog, or on Twitter! 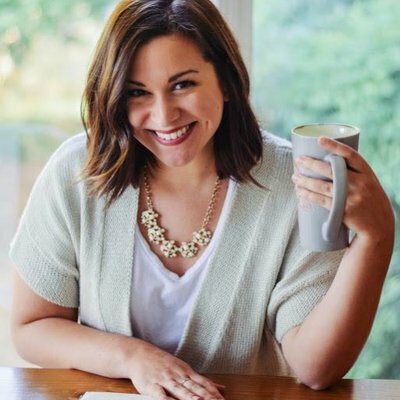 On Friday, I'll be featuring another cool indie author, Isabelle Kenyon, so be sure to check back then! If you're an author and you're interested in being interviewed for this blog, please contact me! Writing Tip: Share Your Work!